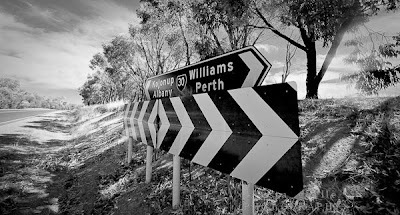 This is where I spent three & a half hours on Albany Highway on my way to Perth last Thurday - the first day of the heat wave. My dad and my father-in-law came to the rescue. I think the Volvo's gotta go.